Swimming fun at the YMCA at Schilling Farms during Homeschool PE. Picture courtesy of the YMCA at Schilling Farms. Helping children burn off high energy steam during the cold winter months is sometimes difficult, but the YMCA at Schilling Farms (1185 Schilling Boulevard, East, 38017) in Collierville has the answer for homeschool families. Homeschool PE and Homeschool Art return next month giving your child an outlet for creativity and physical education. You do not have to be a member to participate in the classes, but members do receive a registration discount for both programs. Homeschool Art will be offered on Thursdays for children five through 15 years old. Sherri Baldwin will teach the class that focuses on drawing, mixed medium and watercolor painting. Classes begin February 4 and run through March 17. Two sessions will be offered for children, ages five through eight, from 1:15 p.m. to 2:15 p.m. and for children, ages nine through 15, from 2:30 p.m. to 3:30 p.m. Supplies are provided for the classes. This class will satisfy an art requirement. Homeschool PE will be offered on Wednesdays for children five through 12 years old. 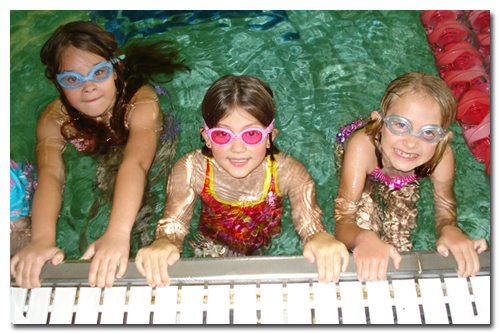 Children will enjoy exercise in the gym and in the water through the SPLASH program, which is land and water-based learning of water safety skills. The first three sessions will be held in the gym and the class will next move to the water for the last four sessions. The program will finish with a pool party. Classes will be held from 2 p.m. to 3 p.m. Tennis shoes and a swim suit are required and goggles are recommended. This class will satisfy a physical education requirement. Register by Monday, January 25, which is the deadline before the fee increases, for both programs. Early registration is $35 for YMCA members and $50 for non-members. There is a price discount for additional children in the same family. Call Tish Lewis at (901) 850-9622 for more information. ©2015 Homeschool Roster. Article by Jennifer Smeltser. All rights reserved. All text, photographs, artwork and other content may not be reproduced or transmitted in any form without the written consent of the publisher http://www.homeschoolroster.com/.